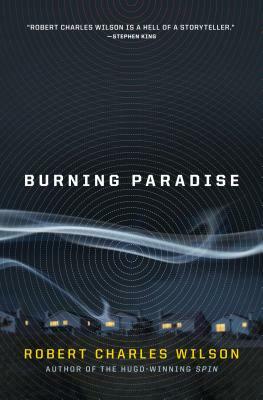 From Robert Charles Wilson, the author of the Hugo-winning "Spin, "comes "Burning Paradise, "a new tale of humans coming to grips with a universe of implacable strangeness. Cassie Klyne, nineteen years old, lives in the United States in the year 2015 but it's not our United States, and it's not our 2015. Cassie's world has been at peace since the Great Armistice of 1918. There was no World War II, no Great Depression. Poverty is declining, prosperity is increasing everywhere; social instability is rare. But Cassie knows the world isn't what it seems. Her parents were part of a group who gradually discovered the awful truth: that for decades back to the dawn of radio communications human progress has been interfered with, made more peaceful and benign, by an extraterrestrial entity. That by interfering with our communications, this entity has tweaked history in massive and subtle ways. That humanity is, for purposes unknown, being farmed. Born in California, ROBERT CHARLES WILSON grew up in Canada. He is the author of many acclaimed SF novels, including Darwinia, Blind Lake, Julian Comstock, and the Hugo Award-winning Spin.